Central Heating and Air Conditioning is one of the fastest growing mid-sized HVAC companies in the Metro Atlanta area. We are a family business that has been in business for over 70 years. We routinely look for new employees that are hardworking and self-motivated. 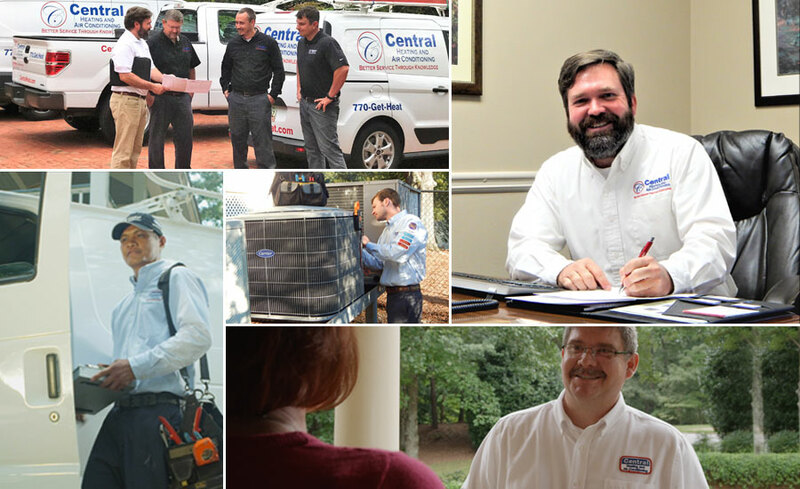 Our solid reputation in the Atlanta market is built on 7 generations of HVAC experience with a highly satisfied and loyal customer base. If you are looking for more than just another job, we may have the career choice that is right for you! We are not a large company that just says we are family oriented or like a family, we are a family owned business that takes care of our employees. We are a drug free work place and we do a thorough background check and drug screening. You must pass both to be accepted as an employee with our company. If you are looking for a challenging and rewarding position, please do not hesitate to contact us at (404) 261-2280 or upload your resume to our site. We look forward to talking with you about your career plan and aspirations.